A new MQB-based bus is hiding underneath the familiar skin. 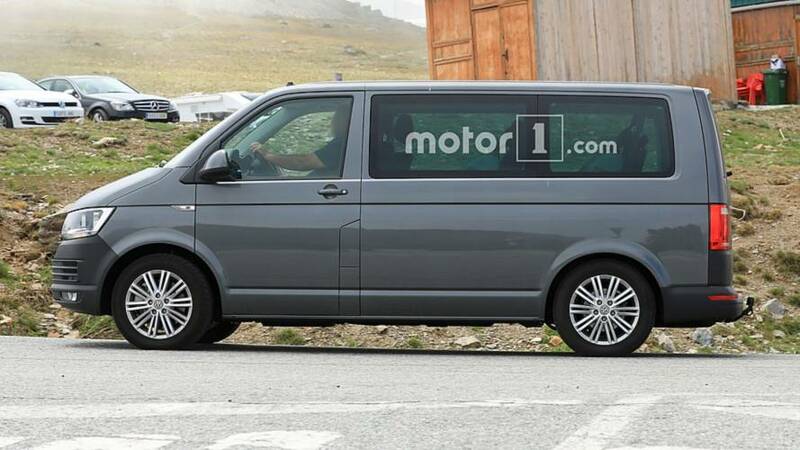 Volkswagen is reportedly working on an autonomous version of the Transporter van in cooperation with Apple, but that doesn’t mean the German company is not planning a new generation of the conventional, driver-operated bus. These first spy photos reveal the development work on the T7 is in very early stages, as the company is still using mules instead of prototypes with production bodies. That fact easily explains why Volkswagen is not even bothering to put some camouflage. 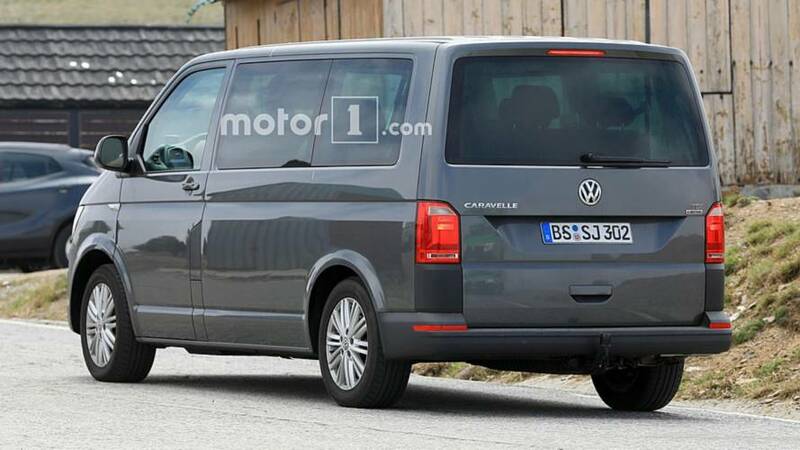 Spotted testing with German license plates, the T7 is seen here in passenger Caravelle version with a TDI engine and an all-wheel drive. Or, at least that’s what the badges at the back say, but don’t ignore the possibility for fake badges. 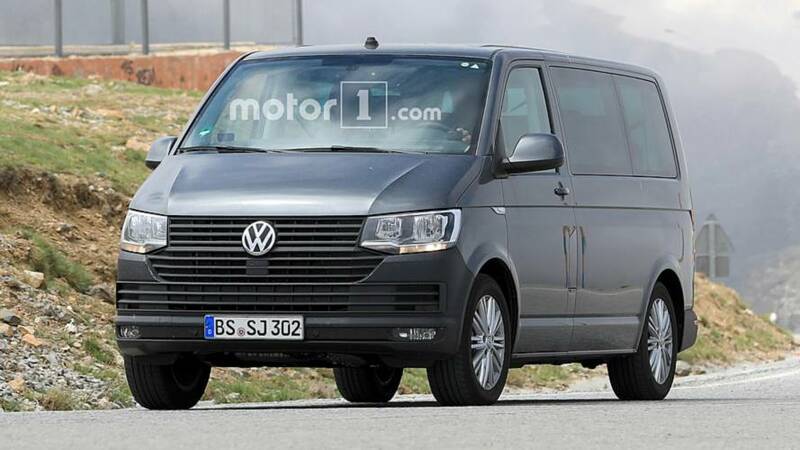 While the Transporter that’s still on sale today, in both passenger and cargo versions, is basically a heavily revised and facelifted variant of the T5, the new model will move to Volkswagen’s clever MQB platform. 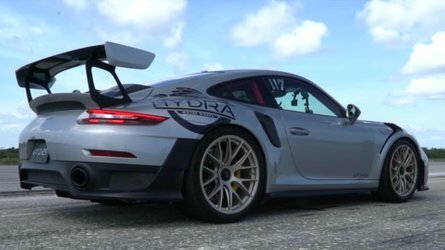 It will allow for significant weight reduction and improved body rigidity. 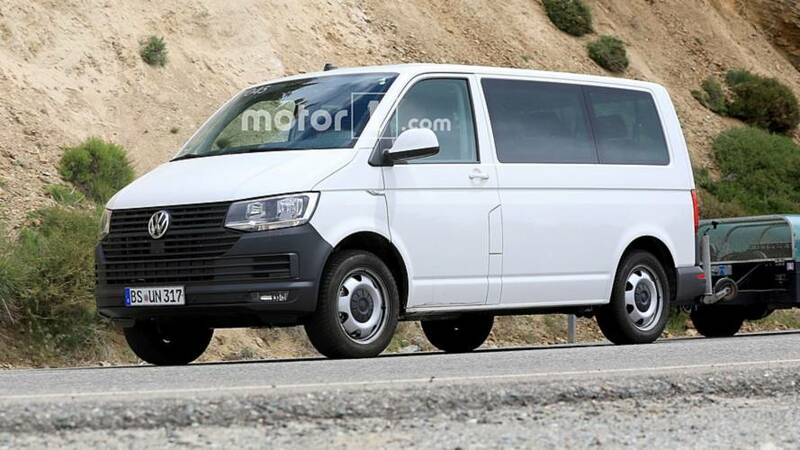 At this very early stage of development, it’s difficult to predict what the design changes over the current model will be, but it’s probably safe to assume the T7 will benefit from the latest innovations of VW’s design department. 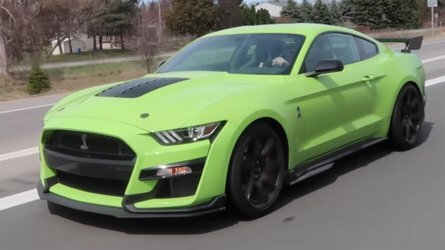 These include an even more pronounced grille, sleeker headlights, and more stylish rear end with LED taillights. 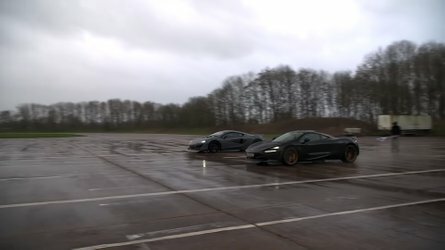 The interior will be much more refined than now and we expect to see even the virtual cockpit dashboard in the more expensive trim levels. 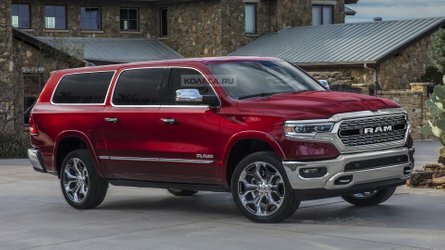 As far as the engines are concerned, there won’t be major surprises, as the vehicle will continue to be offered with turbocharged gasoline and diesel engines, with the latter being the preferred choice for customers in Europe. 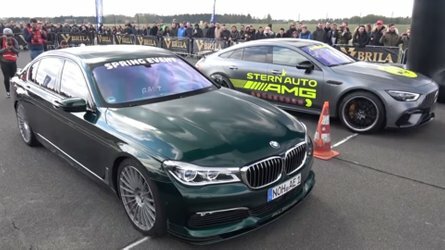 A dual-clutch automatic gearbox should be optionally available, and we’ve also heard rumors about an electrified version, but that’s still unconfirmed.